It’s been nearly two years since UK’s leading personalised children’s brand My 1st Years received the royal seal of approval when Prince George wore their robe to meet Barack Obama. The world’s media went into a frenzy, and the My 1st Years gown sold out instantly and has continued to do so ever since. 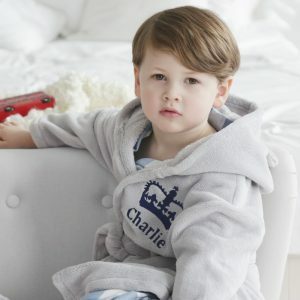 The royal and celebrity favourite brand have continued to remain as the UK’s no.1 loved personalised gifting brand for little ones. The My 1st Years limited edition Royal Range launched this month and is set to be a huge success with Royal Fever with the imminent arrival of the new royal baby and royal wedding in May.